After seeing Quebec City in the morning we made the drive down into the USA and into the state of Maine. The crossing guard was thorough checking the back of the car and asking us a lot of questions. Nevertheless we were allowed in and started to drive the beautiful scenic Maine roads through the forests. The roads were in awful condition compared to their Canadian counterparts north of the boarder. We kept our eyes peeled for Moose, but only ever saw a number of signs warning us they were around. We stopped at a Lake on the way, Parlin Pond, mainly to use the facilities but it was a pretty serene scene in the alpine forest with nobody around. The drive continued for several hours longer than we had anticipated, as we drove through small town after small town with no mobile signal. Eventually we drove through a town big enough, got some signal and booked a hotel for the night down the road in Waterville. Quite basic and we had a cheese burger from McDonalds as dinner. About 9 hours of driving done we were exhausted. 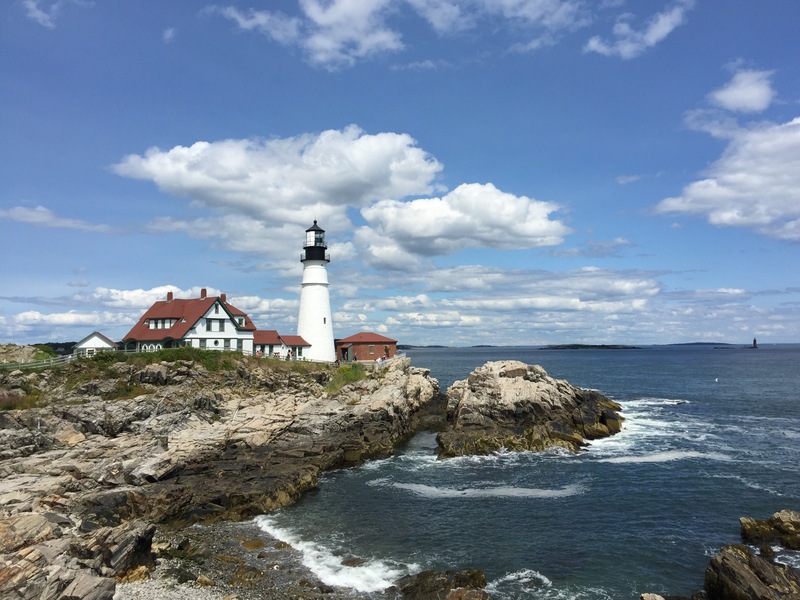 In the morning we continued into the more populated areas of Maine first stopping in Portland. We stopped at the bay first, and took some pictures of the sea and the many small islands. Locals were out in force enjoying the sunshine and bringing their motor boats out for the day. We flew LARS for some scenic shots but encountered problems with the SD card so did some emergency repairs in the car. Then we headed into downtown Portland, to its historic area. Red brick buildings from the 1800s which had mostly been converted into art galleries and restaurants at their base were impressive and made for good photos. It would of been a good spot for lunch but it was only mid morning. After exploring the area (and randomly seeing a piece of the Berlin Wall) we jumped back in the car and headed for our first lighthouse. Mike had researched online about a famous lighthouse in the area so we headed to where we thought it was about 20 minutes from downtown. We found two lighthouses that had been converted into residences but these weren’t what we were expecting. No parking near by we went round the corner to the Two Lights state park. The ranger on the gate told us about the famous lighthouse we were looking for and gave us directions. But first we paid the entrance fee and went into the park. A small park we walked along the coast; looking for whales which were apparently in the area, but we didn’t see any; and flew LARS (now working again) back over the previous twin lighthouses we had seen. 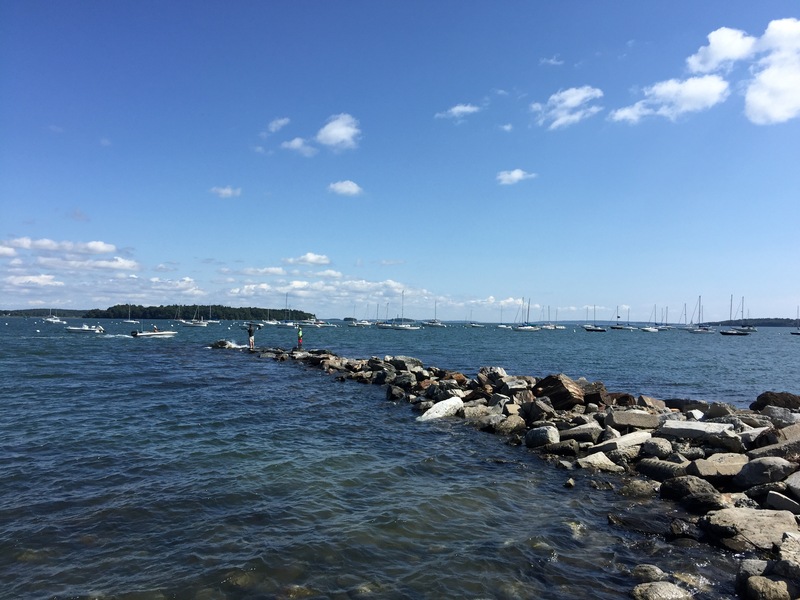 We continued to Portland Head Lighthouse (the one we had been looking for) and found a very busy park. 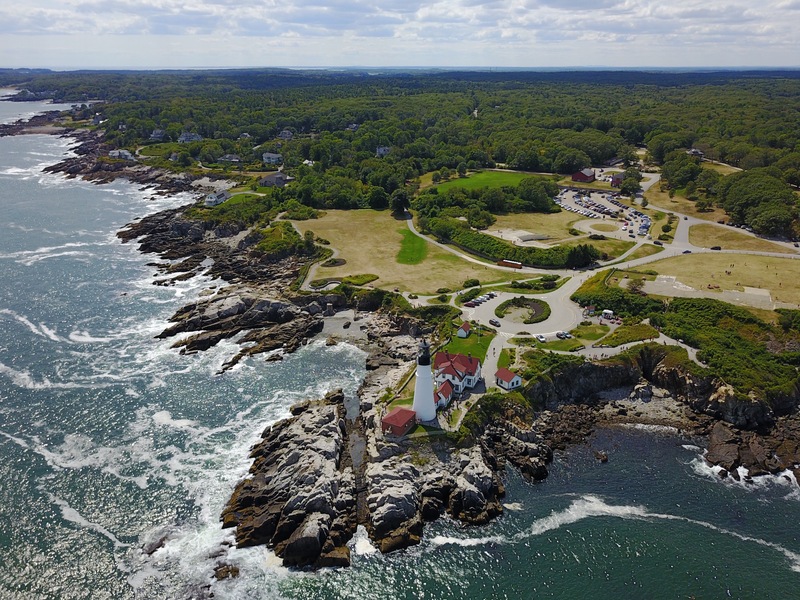 After searching for some parking we went and took our photos of Maine’s most famous lighthouse, from just about every angle. It stood on a headland and blasted out warning sounds which were echoed across the bay. The bay also had another lighthouse, abandoned that stood on a spit of land in the distance. 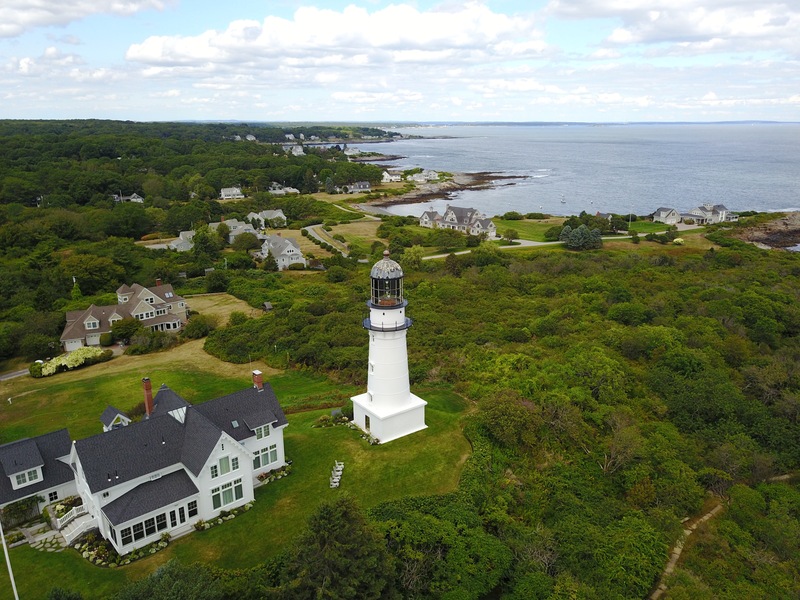 After finding a quite spot we flew LARS and got some good angles of the lighthouse. Tummies now rubbling we headed to York, another town about an hour down the road which had another picturesque lighthouse. First we stopped at a trip advisor recommendation Fox’s Lobster House. Mike tried his hand at his first lobster while I had chicken and chips. 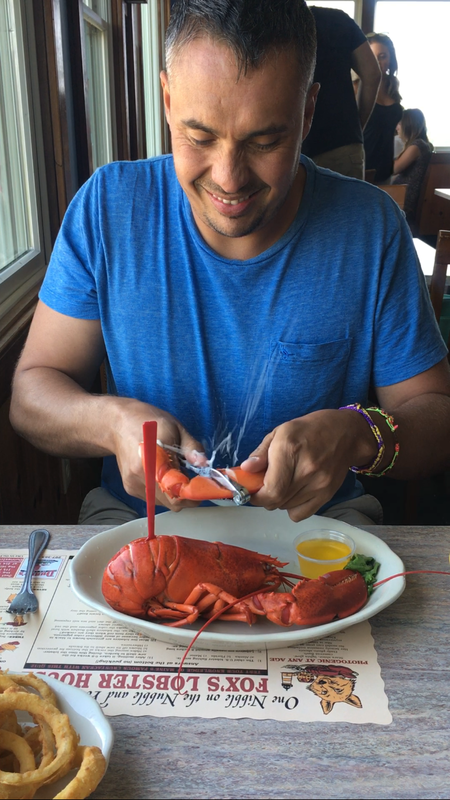 The lobster came whole and Mike followed the instructions on cracking and pulling it apart. Opting not to wear the bib (other than for a photo) the lobster squirted and exploded all over his t-shirt and shorts. Apparently it tasted of sea water and he wasn’t impressed overall but he enjoyed a chocolate fudge Sunday. We left the car in the restaurants car park and went and took photos of Cape Neddick lighthouse (or Nubble Lighthouse as it is known). It stood on a private island 20m away and the only way to access the island was by a 1 person manual cable car. We stood and took pictures from the rocks and once again flew LARS. 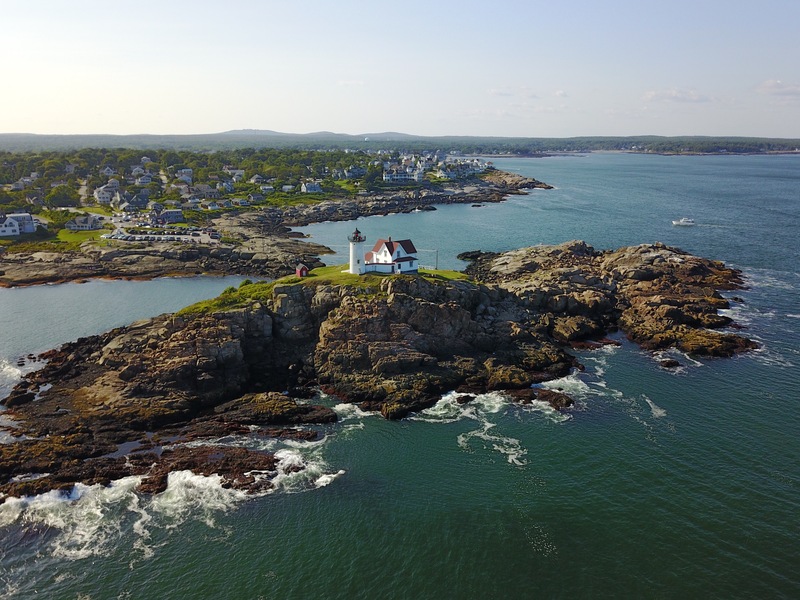 That made 5 lighthouses we had now seen in Maine. The last one was probably the most impressive. 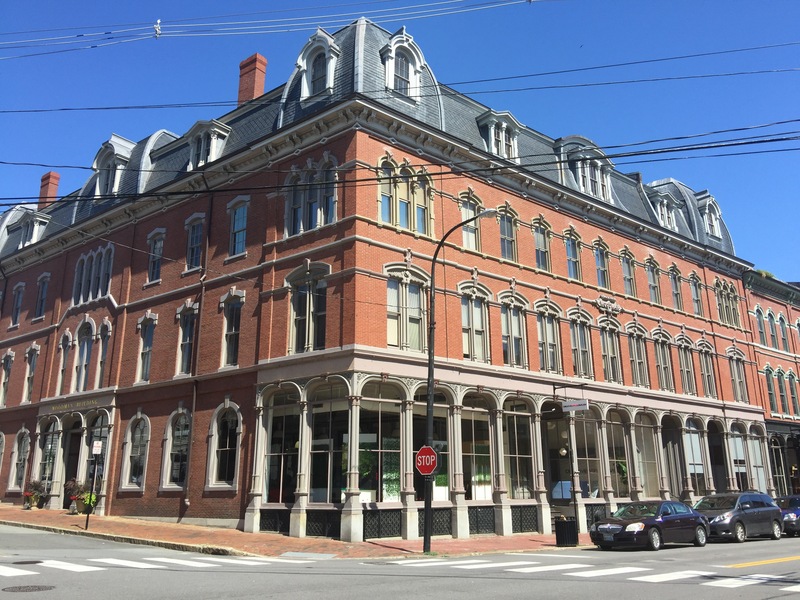 Having booked a hotel the previous night we hit the road for two hours to the state of Rhode Island and the city of Providence. By the time we got in and found somewhere to park (which was very stressful!) it had gone eight in the evening. We watched the latest Game of Thrones and went to bed. 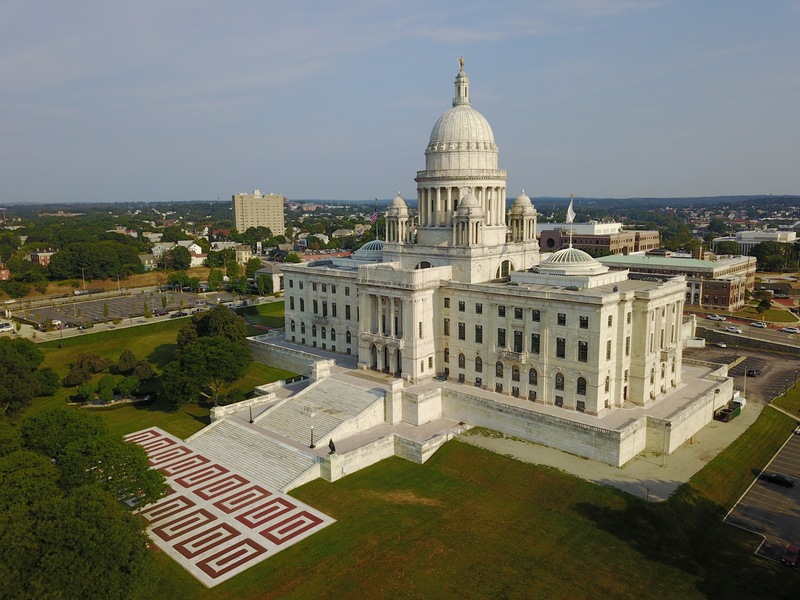 In the morning we explored the city and visited the State Capital building. Impressive it stood on a slight hill we perfect gardens all around much like the one we had seen in Des Moines. Not to miss an opportunity we flew the drone and then headed back through he city and had some breakfast before departing for the big apple: New York.